What is probably the quickest and least expensive way to reduce your home heating (or cooling) bill, and reduce your home’s carbon foot print? If you have a home older than 10 years old, the plugging common air leaks with calking and foam filler is probably the way to go. 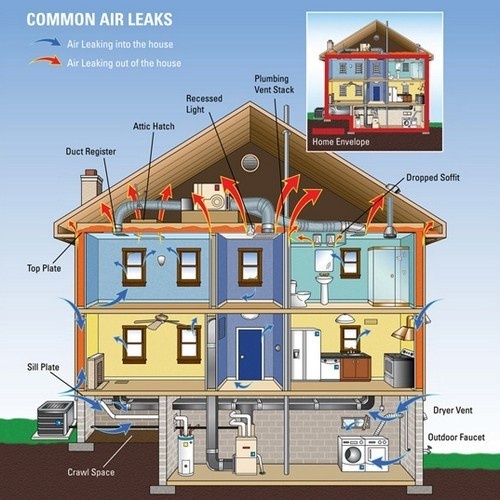 The good folks at Re-Nest have a great article on how to go about finding the air leaks, and then how to effectively plug them up. Not rocket science, but a much less expensive way to save electricity or natural gas than buying expensive new appliances.